R230 SL-Class 03-11 There are 15 products. We upgrade your parts to "better than new" condition with advanced seals. 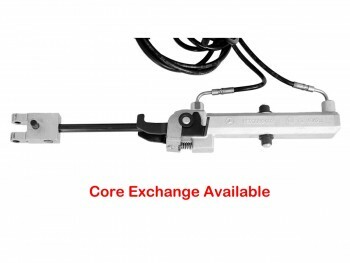 The Vario Roof hydraulic system has eight or nine actuators and/or latch cylinders (depending on model year), including the trunk's load assist, PLUS two pawl lock cylinders and one roll bar lift cylinder. All cylinders have the hydraulic lines attached and must be shipped in that condition. The seals in ALL these cylinders fail with time. Usually, the roof lock cylinder 2308000872 aka A 230 800 08 72 is first to leak. 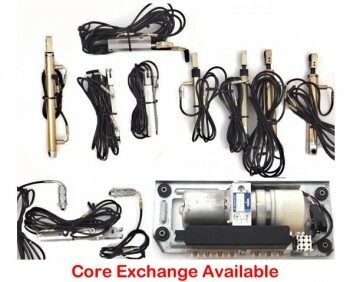 If you live in a hot climate and you have noticed a hydraulic leak, then having Top Hydraulics upgrade all eleven cylinders and the pump at the same time is the best choice - you will have to deal with the hydraulics only once, you save a lot of labor in the end, and the convertible top hydraulic system will outlast your car. Top Hydraulics' rebuild service is a true upgrade, since the rebuilt cylinders will last much longer than the originals under the same conditions, and a design flaw gets eliminated from the otherwise excellent hydraulic system. The hydraulic lines are not detachable from the cylinders. That means the cylinders have to be shipped with lines attached and intact. 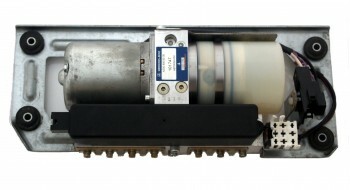 Top Hydraulics can replace cut lines on the cylinders, but there would be an additional charge. The R230's hydraulic Vario roof pump aka hydraulic unit is a complex, high-performance pump with integrated valve block, two different output pressures, high-end electronic noise suppression, and high flow rate. The upgrade service for your hydraulic top pump replaces heat sensitive parts inside the pump with re-designed, precision machined aluminum ones, improves fluid filtering, services the valve block, solenoids and check valves, upgrades electronic components, upgrades internal seals, and replaces the electric motors if needed. 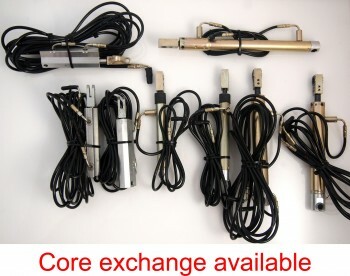 Early model year vario roof pumps p/n 2308000030 and 2308000348 aka A 230 800 00 30 and A 230 800 03 48 fail very frequently at this point, and should be upgraded proactively. Top Hydraulics' service makes these high-performance pumps better than brand new ones!